reach the all-important target live weights by mating. later. Injection can be intramuscular or subcutaneous and following the booster vaccination offers 12 months protection. released may also change. Not so with the leaching technology of Tracesure. 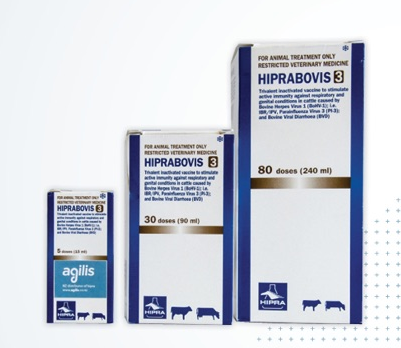 recommended in cattle from 150-400kg in liveweight. Above 400kg of liveweight, two boluses are required. Copper is not provided in tracesure but rather is provided in a separate gelatine covered capsule full of Copper Oxide Wire Particles (COWP) Copasure. 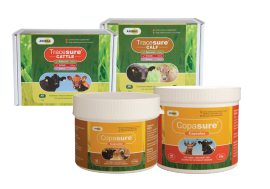 Copasure comes in two sizes for cattle and deer, 12.5g and 25g with a 2g and 4g available for sheep and or weaner deer. Copasure can be given with or without Tracesure as the delivery guns are designed to fit both a Tracesure bolus and Copasure capsule so that only one treatment is required. Giving copper orally is a safe and effective option for ruminants compared to injection with the gelatin capsule dissolving in the rumen releasing the copper oxide particles which get caught up in the folds of the stomachs of the animals eventually dissolving slowly in the acidic abomasum. In summary, using Tracesure and Copasure your animals are receiving 5-6 months of selenium, cobalt, iodine plus copper without relying on variable dry matter intake or water systems. Having sustained continuous delivery allows your young stock to grow unchecked allowing them to maximise their future potential. The goal in young stock grazing areas is to grow grass and provide the perfect environment for parasites; shade, moisture and warmth, conditions which allow parasites to thrive. Constant grazing with the same species allows numbers to build up from early in the season to peak at high levels early autumn. Regular drenching intervals help to control the parasite burdens but still young stock may struggle. The problem is that in between drenches young cattle are ingesting immature worms (L3 stage larvae) that go on to mature into adult egg laying worms in approximately 21 days. These L3 larvae tend to have production limiting effects as they cause gut damage which may directly or indirectly lead to appetite suppression. The end result is that maximal growth rates may not be attained. A relatively new product on the market called Alpheus drench capsules is designed to ease calves through this difficult period. The Alpheus capsules are a slow releasing drench capsule that floats in the rumen, releasing abamectin for 125 days which kills incoming larvae as they are ingested thus preventing them from causing gut damage. Parasites tend to be easier to kill in their L3 larvae stage than as adult worms. The capsule comes with an oxfendazole/ levamisole combined primer drench tablet to kill all adult worms at insertion leaving the abamectin release to carry on killing any ingested larvae. At 125 days the capsule payout ceases abruptly ensuring no sub-lethal tail occurs. We do advise ensuring efficacy by egg counting at day 50 and 100 post insertion. We have seen massive improvements in young stock growth rates with these capsules as when you take the larval burden away the calves only have to eat and grow. 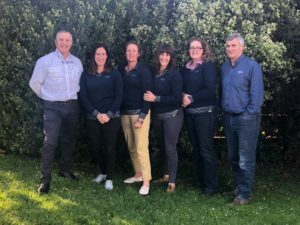 The team at Agilis are pleased to announce we now have a new technical sales representative based in the Waikato covering Waikato and Bay of plenty region. Angela Quinn comes to us with experience in the dairy sector and will be a great asset to the Agilis team. Also, behind our sales and technical team we now have Jo Bradford our Marketing Specialist to keep us all in line and up to date with new technologies! This will help us all. Welcoming in summer; December/January we look forward at the importance of giving calves the next step in the right direction towards better health quality and performance. Our knowledgeable and experienced team look forward to working with you and your staff to provide you with the information and support needed. Don’t be afraid to contact us if you have any suggestions for new products to introduce into the New Zealand market place. Talk to your local Agilis rep about how our 4 key products can work together or separately to give your young stock a head start.